Autonomy and electricity are the future of the car industry, but not for Rolls-Royce. See, Rolls-Royce customers should not have to sit in a driver’s seat and tap a steering wheel to tell a car they’re still awake. The thought of it is absurd. They have chauffeurs for that, so long as future generations learn how to drive. It’s obvious that by not going with the flow, Rolls wants to preserve its aloof and high-status demeanor as an automaker. Anyone who pays $300,000, on the low end, for a boxy sedan certainly doesn’t need the luxuries we common folk do, like automated driving or supporting our grassroots environmental efforts with more fuel-efficient cars. Just the thought of it sounds cheap. 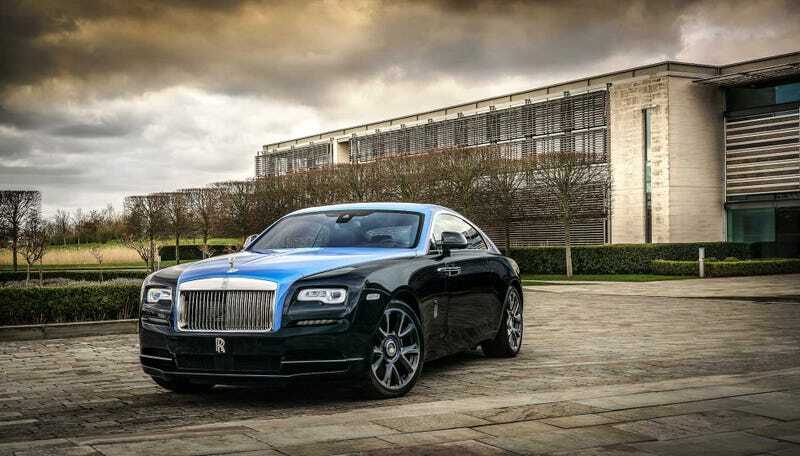 “Currently, our cars are not used for daily driving purposes,” Rolls-Royce CEO Torsten Müller-Ötvös told journalists at the debut of the 2018 Phantom in Switzerland. “When people drive our car, it’s for special occasions. What about an autonomous Rolls? Until one can be as flawless and private as a horse-drawn carriage, forget it. No half-assing anything, either. Rolls is too good for that. The automaker has committed to a pivot to electric drivetrains, but it won’t pursue hybrids as a halfway point. And with that, the folks at Rolls probably kicked their feet up and sipped fruity drinks while being fed grapes from vine under the shade of $700 umbrellas. They’re in no hurry with that “automation” and “electrification” stuff, after all.